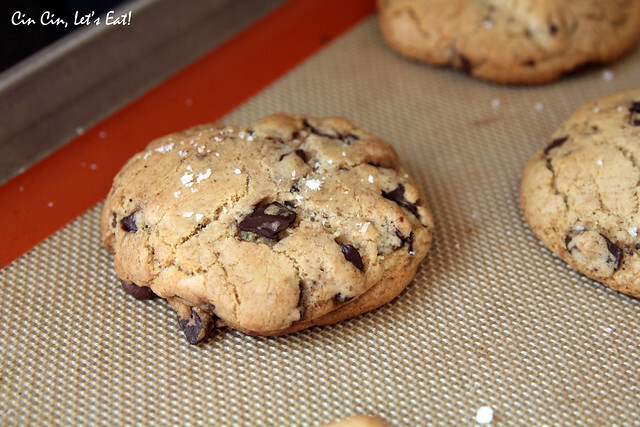 Nutella-Stuffed Brown Butter Sea Salt Chocolate Chip Cookies [recipe] – Cin Cin, Let's Eat! 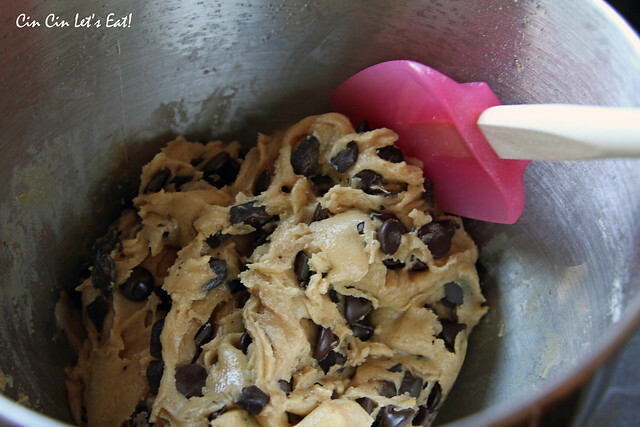 I woke up one Sunday morning totally craving some cookies. Not just any cookies, but Nutella-stuffed!!! It’s so odd that whenever I crave something, I always have something very specific in mind. Once I craved fried chicken but had to be from this Korean fried chicken joint 15 miles away, KFC didn’t cut it. Another time I craved grilled lamb kebobs but couldn’t find it in any restaurants near me and was too lazy to make them at home. Braised lamb shanks didn’t satisfy my cravings nor did lamb hot pot. The craving went on for weeks until I finally got some kebobs. This doesn’t happen often but when it happens, I won’t stop until I get what I want. And no I’m not preggars but I often imagine how difficult I will be whenever that does come. Ok that’s enough weird facts about me! 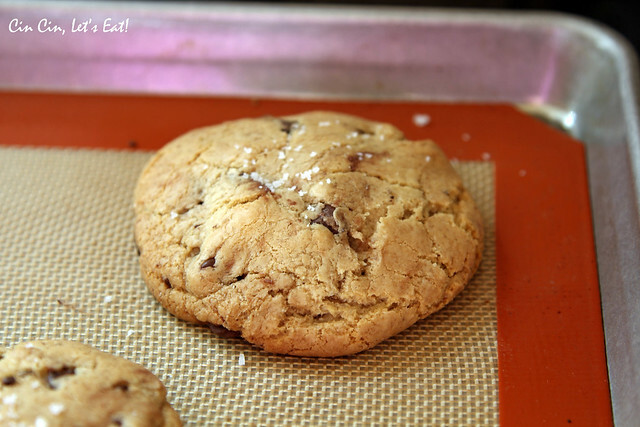 Needless to say I went on a hunt for a good Nutella-stuffed cookies recipe and I found a darn good one! Thank you Monique from Ambitious Kitchen, your Nutella-stuffed Brown Butter + Sea Salt Chocolate Chips Cookies were AMAZING!!!! 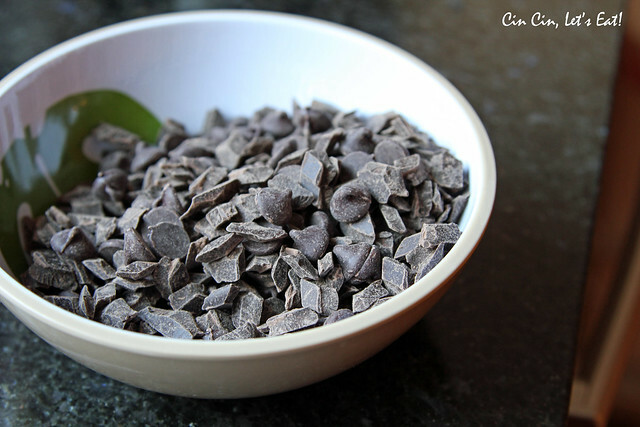 As usual, I cut down the sugar by a bit and since I prefer dark chocolate, the milk chocolate chips were omitted. I also scooped out individual scoops of Nutella and froze it for two hours, it made the stuffing process less messy. 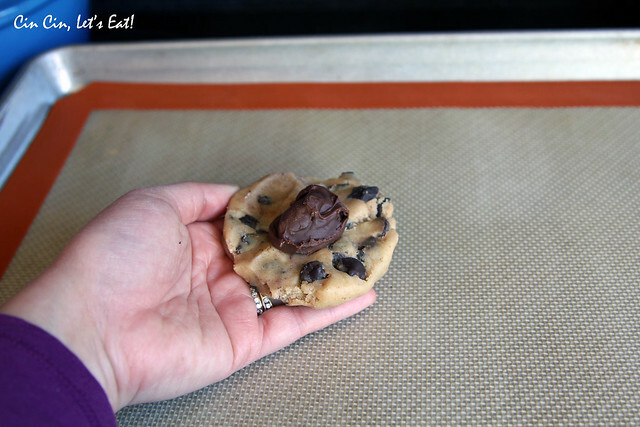 Cover a small tray with parchment paper. 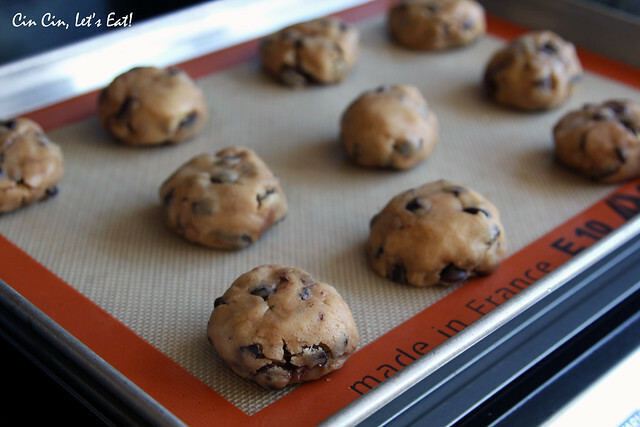 Using a small cookie dough scoop or two spoons, form about 24 one-teaspoon sized scoops onto the parchment paper. 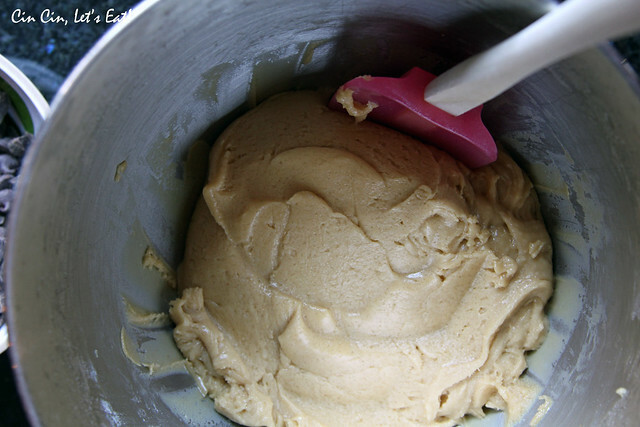 Freeze for at least two hours until hardened. 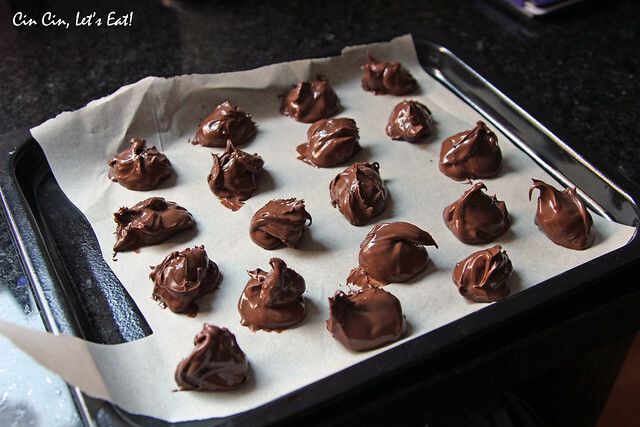 Nom nom nom, I’m going to be making these, ALL THE TIME! 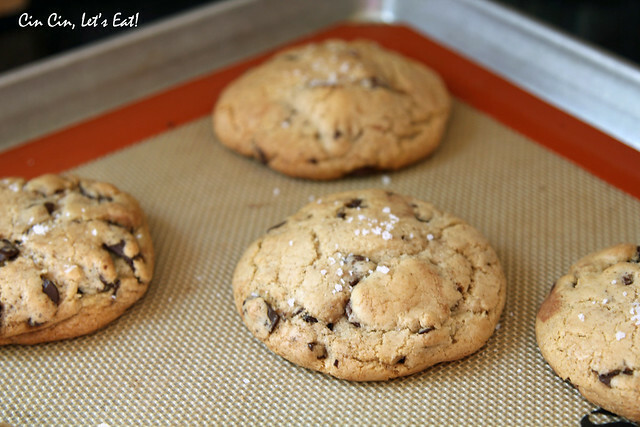 see, if I made these I’d just be eating a bowl of raw cookie dough. So chuncky & chocky. Yummmmmm.